Bestowed with vast knowledge of the domain, we are able to offer our clients a wide range of SWR Pressure Pipes. Supreme "lead free" aqua gold high pressure uPVC solvent weld plumbing system is the most suitable, easy and economical solution for distribution of potable water. Asbestos Cement Pressure Pipes are manufactured using a proper mixture of superior grades of asbestos fibre, high quality Portland cement and water. Fibre is first milled and blended in a Kollergang. The pipes are manufactured with the most modern technology of MAZZA Process. Manufactured from high quality uPVC raw materials. Excellent resistance to corrosion and chemicals. Light in weight & long life. 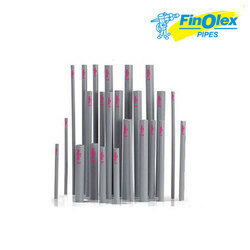 Pipes have been classified in this standard as K7, K8, K9 and K10 according to their thickness. 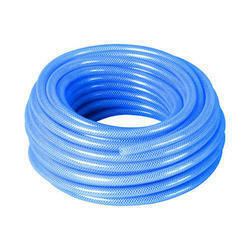 K7 pipes have minimum wall thickness where K10 has maximum. The Ductile Iron Spun Pipes having screwed on flanges are sealed at the threaded Joints between the pipes and the flange by a suitable sealing compound.